Winter is a time for sitting by the fire, getting together with family and twinkling candles and lights. So what better time to have a wedding than winter? We got together with the team at Dewsall Court to discuss why exactly winter is the best time of the year to get married, and what Dewsall Court can offer to make this special day one to remember. 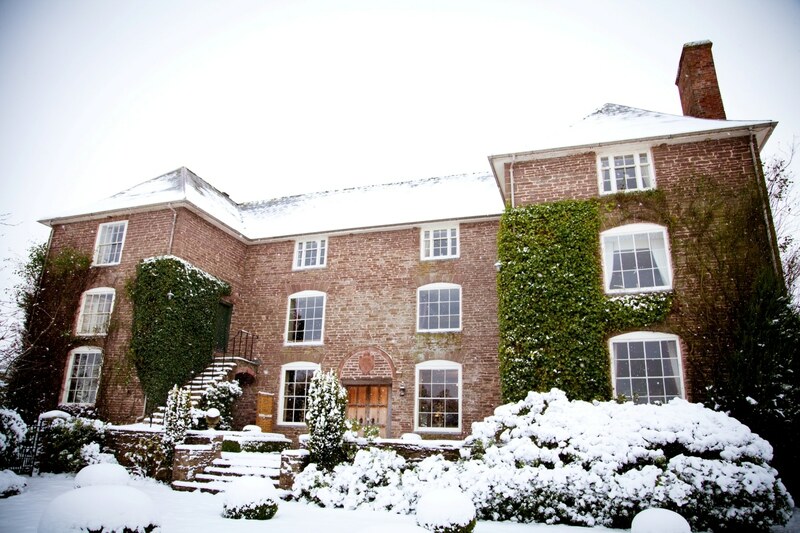 Nestled in the beautiful Herefordshire countryside, Dewsall Court is the perfect venue to create your own little winter wonderland. A beautiful Grade II listed building, the newly refurbished Wainhouse Barn, and the property’s own little church on site; Dewsall has the perfect space to cater to individual guests’ needs, from the service to the reception. So why have a winter wedding? Firstly, you can save money. Not only does Dewsall Courts January wedding package provide access to their stylish venue for a reduced rate, couples will also find that many wedding suppliers will offer equally as attractive reduced rates during the winter season. Bringing your own booze? Enjoy free corkage at Dewsall Court this winter, perfect for those wanting to save a little extra for the festive season. Included in the winter wedding package is four nights’ accommodation for up to 23 guests, with continental breakfast, light lunch, and a two course meal on the first evening, as well as a hearty brunch the day after the wedding. Guests also have exclusive use of the main house for the reception of up to 60 guests. 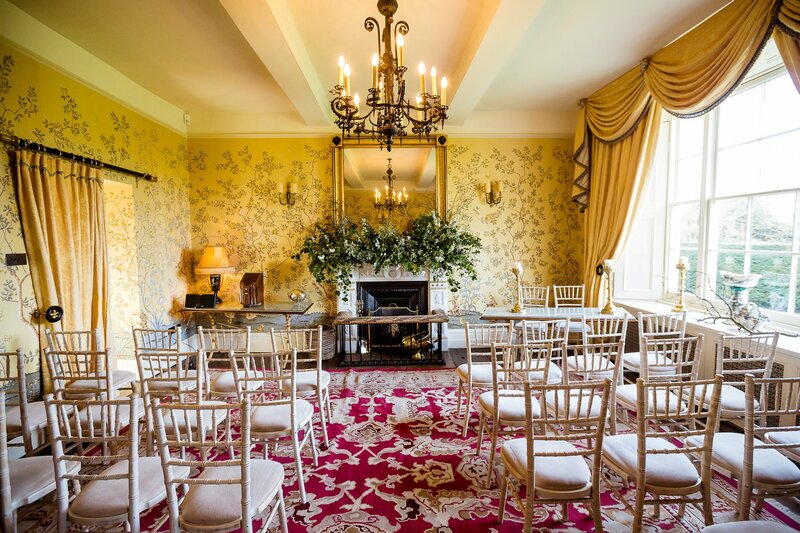 The beautiful Chinoiserie room is available for the wedding service for up to 30 people, or the studio barn seats up to 60 people. Newlyweds-to-be will also have the help of a dedicated planning professional, to make sure all your needs are catered for, and to help you with all the little finishing touches, from cake stands to flowers. Finally, book between now and February 2018, and receive £1000 off a two-night weekend stay, or £500 off a two-night mid-week stay. 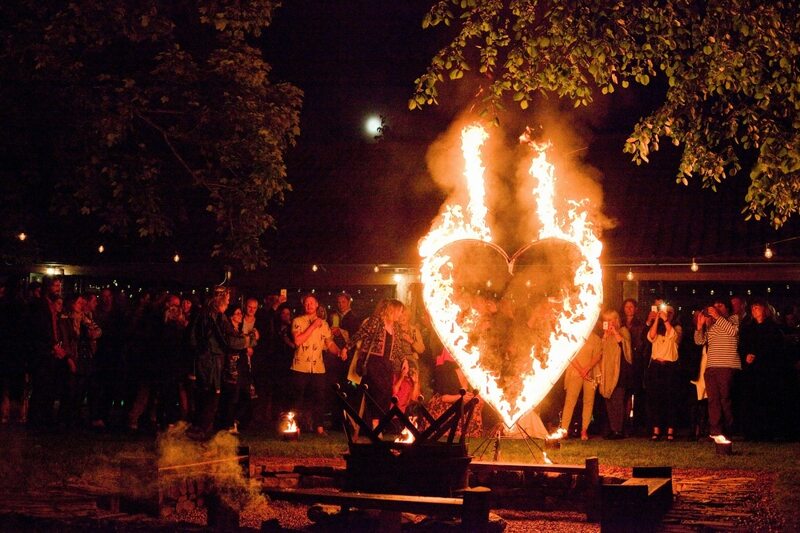 A Winter Wedding at Dewsall is the perfect romantic setting for your wedding. 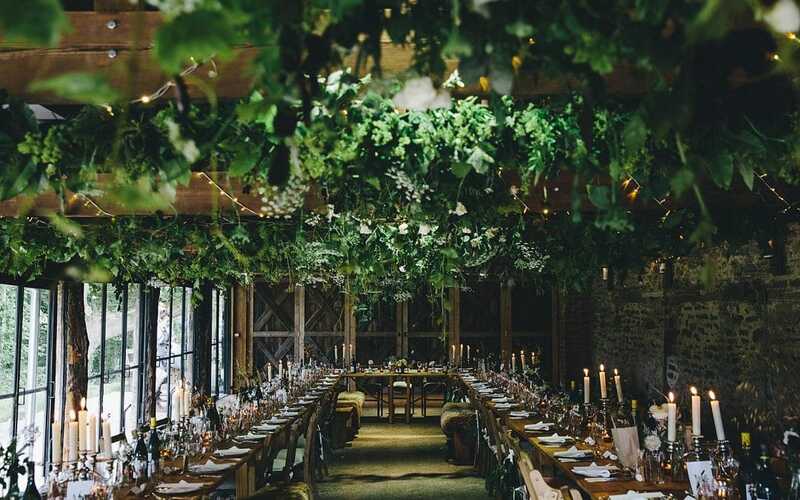 Treat your guests to a beautiful dinner from inside the beautiful Wainhouse Barn, where the glass walls allows you to look out on the beautiful frosty gardens. Sip champagne by the fire pit, or mark the bride and grooms path with fire torches, Dewsall’s finishing touches will ensure a magical atmosphere. In addition, January 2018 offers the unique addition of a Blue Moon. On 31st January, a rare Blue Moon will be fully illuminated, making the perfect backdrop for those stunning Instagram-worthy wedding snaps. So why not brighten up your winter with a winter wedding at Dewsall Court, the ultimate in boutique country chic.